Customized Software Development -Data Soft Tech develops customized software solutions for its clients and also for internal use. The library of on-the-shelf Softwares includes Payroll Software, Indian Financial Accounting Software, Petrol Pump Management Software, Service Station Management Software, Educational Institute Management Software, Library Management Software, Barcode Printing Software, Invoicing Software and ERP solutions etc. 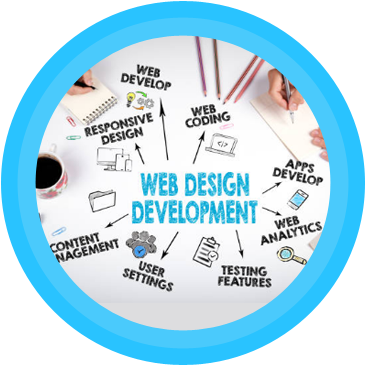 Web Development and Internet/Intranet based SolutionsData Soft Tech has completed many web projects catering to niche segment of internet fraternity, which include portals, e-commerce applications, dynamic websites, multimedia rich ineteractive websites with Flash and Intranet based solutions for Business Automation. The sites and portals generate a run-of-the-network traffic and a significant business every month for our clients. The team at "Data Soft Tech" is well-qualified, strongly motivated and the infrastructure setup is state-of-the-art. All this summed up with an interesting work environment to deliver quality solutions, in a timely manner! What makes Data Soft Tech. different? We are passionate about growth. We strive to make customers comfortable with outsourcing to India by making the process seamless and hassle-free. The Data Soft Tech. team is willing to go the extra mile by ensuring that we are always there for our customers. We have served over 30 customers including 10 exclusive customers from abroad. That's how we ourselves have grown dramatically from a domestic domain to international domain in 1998 to a strong foundation that's just bubbling with creativity and zest, with multi-functional team housed in a multi-storied building, working as an extended arm of your business. We have been serving global customers since 1998. We are based in Ludhiana, India 's Industrial Hub, home to big companies like Vardhman, Nahar Group, Malwa, Eastman & APT and many more. The best talent and expertise is accessible to us. We thrive on helping your business succeed. Fast turnaround of your project. Cost savings and revenue increase. We have managed ventures ranging from ERP and On-line E-commerce solutions and healthcare services, engineering services. Read our success stories and contact us for your requirements. Data Soft Tech is a proactive organization based in Ludhiana, Punjab Region, India, specializing in customized software development, web development, website designing, ERP Solutions, networking solutions, corporate training, web promotion and consultancy services. ©Copyright 2017 Data Soft Tech. All Rights Reserved.